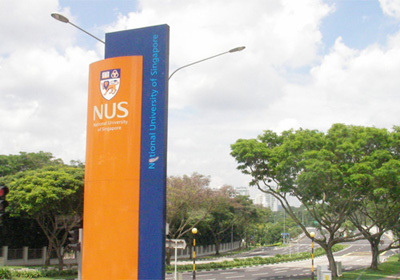 The National University of Singapore (NUS), established in 1905, is one of the top 30 universities in the world today (ranking 30th in the QS World University Rankings 2008) and the top five universities in Asia. As one of the largest universities in Asia, having three campuses with 14 faculties and departments, the NUS proposes international education and research efforts with a focus on vision for experts in Asia in line with the concept of this GCOE program. The university is well known for its strategic and robust research activities in the engineering field, and is also an active participant in such international networks related to academia and research as the Association of Pacific Rim Universities (APRU) and the International Alliance of Research Universities (IARU). These networks further enhance the NUS's presence as a leading university in the world. The Kyoto University GCOE-NUS CMS Joint Research Center (JRC) is the base of cooperation between Kyoto University and the NUS Center for Maritime Studies (CMS) in this GCOE program. The JRC provides the infrastructure required for exchange between the researchers of both universities. Faculty members, post-doctorates and doctoral students of both universities participate in the activities of the JRC. The JRC conducts research focused on traffic and physical distribution, especially that focused on human security such as physical distribution systems that deal with responding to natural disasters, transportation of hazardous substances, security issues related to transportation, traffic safety regarding physical distribution, and vehicle allocation with concern to the risks of residents. Joint seminars are also held regularly in Kyoto and Singapore to share experiences, ideas and the progress on researches. In addition, the JRC fosters human resources with strong technical knowledge about human safety in connection to traffic and physical distribution, and prepares the publication of textbooks to share their knowledge with the world.